SEOUL, South Korea -- Samsung says it is suspending sales of its Galaxy Note 7 smartphone after finding batteries of some of the gadgets exploded while they were charging. Koh Dong-jin, president of Samsung's mobile business said Friday that customers who already bought Note 7s will be able to swap them for new smartphones, regardless of the purchasing date. The announcement comes just two weeks after Samsung launched its latest flagship smartphone. Some buyers reported their phones caught fire or exploded while charging, and Samsung said it had confirmed 35 such cases, caused by faulty batteries. 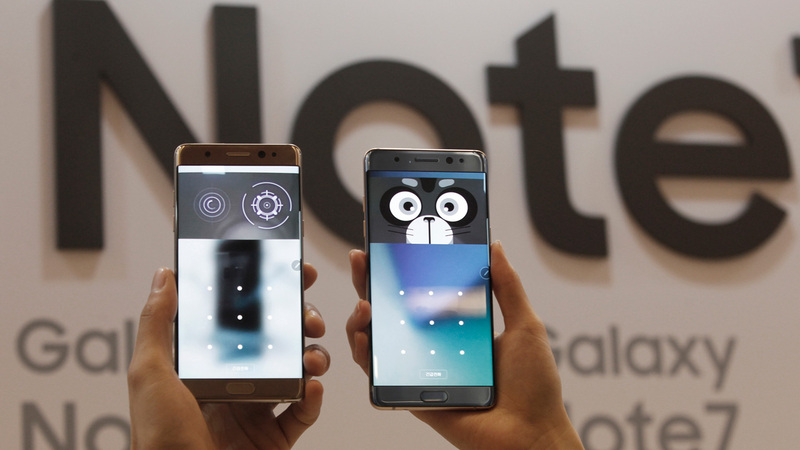 Samsung said it has sold more than 1 million Note 7 smartphones since the product's launch.